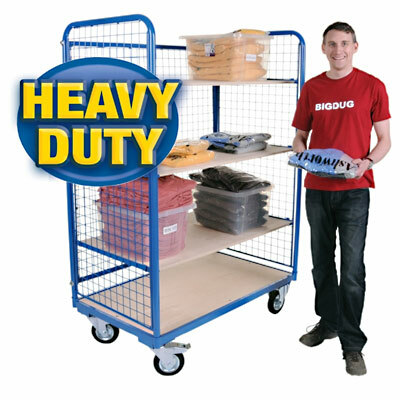 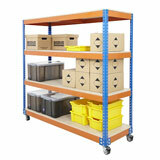 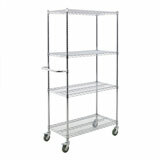 Designed to make it simple to move stock around the warehouse and for easy order picking, this mesh trolley has 3 panels with 1 open side for easy access to the carried products without them sliding out once the trolley is moved. 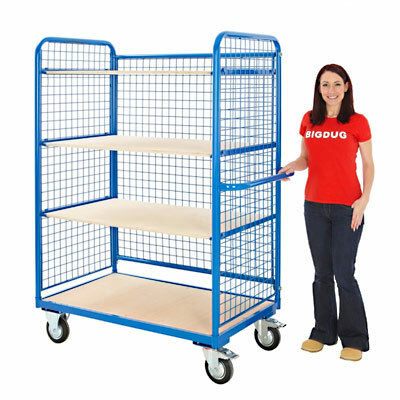 Manufactured from a durable tubular steel frame with a powder coating for a presentable finish. 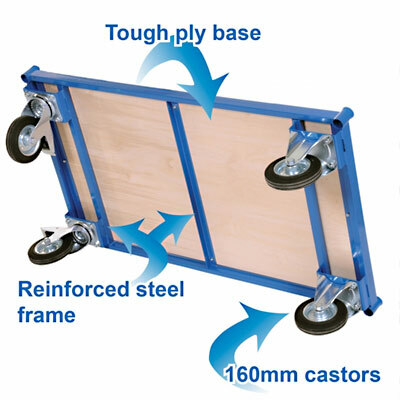 The 15mm plywood shelves have a maximum load capacity of 70kg SWL, with the entire trolley having a maximum load capacity of up to 500kg SWL. 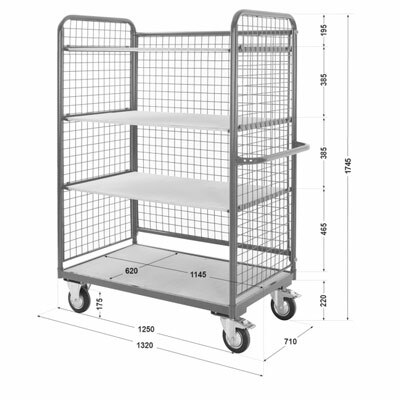 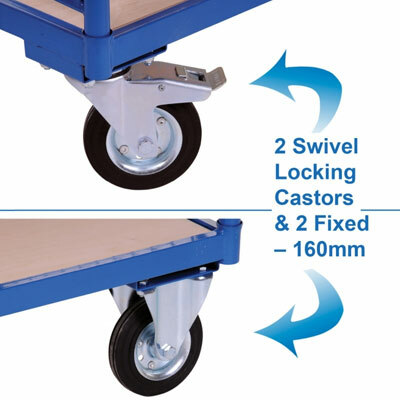 These mesh trolleys are supplied complete with 160mm certified castors, with options for either 4 swivel castors designed for easy turning and effortless manoeuvrability, or 2 fixed and 2 swivel castors to make it steadier to move the trolley in a straight line. 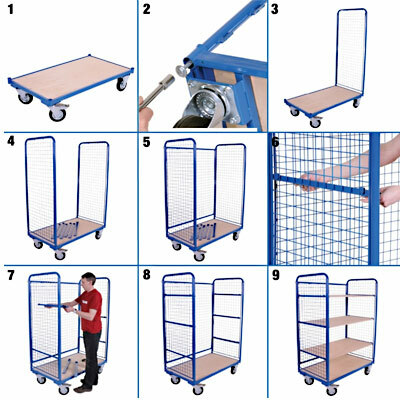 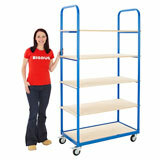 Simply pick the trolley which is more suitable for your use!